After 30 years in the Glendale Galleria, Nordstrom is relocating next door to the Americana at Brand. 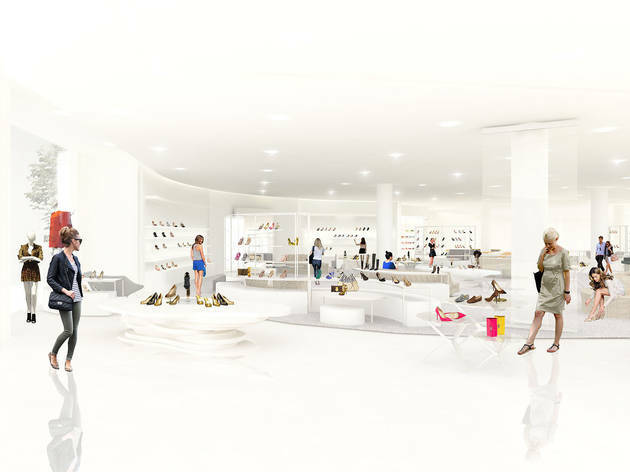 To celebrate the move, the department store will be throwing an opening party, hosted by LA's top celeb-stylists. Don your best look and shop the new store's collection (don't miss the Topshop and Topman racks). Rub-elbows with fashionistas while sipping on champagne and cocktails, feasting at the dinner and dessert stations and enjoying live entertainment, fashion presentations and a chance to be one of the first to shop the new store. Tickets are $100 with proceeds helping nonprofits Ascencia and Hillsides, organizations that give back to the local community by helping at-risk families and finding an end to homelessness in the Pasadena and Glendale areas, respectively. Just found out about it - good thing my friend Summer Flores posted it on FB. Can't wait to go tomorrow to the Nordstrom Gala and goes to a good cause !